We strive to demonstrate the love of Jesus in South Lyon, MI by providing caring and compassionate medical and dental services for the people of our community who otherwise may not have access to it. Our clinic is for anyone in the South Lyon area who does not have adequate health care coverage to meet their needs. We seek to serve those people who, for whatever reason, currently find themselves uninsured or unable to access medical care. 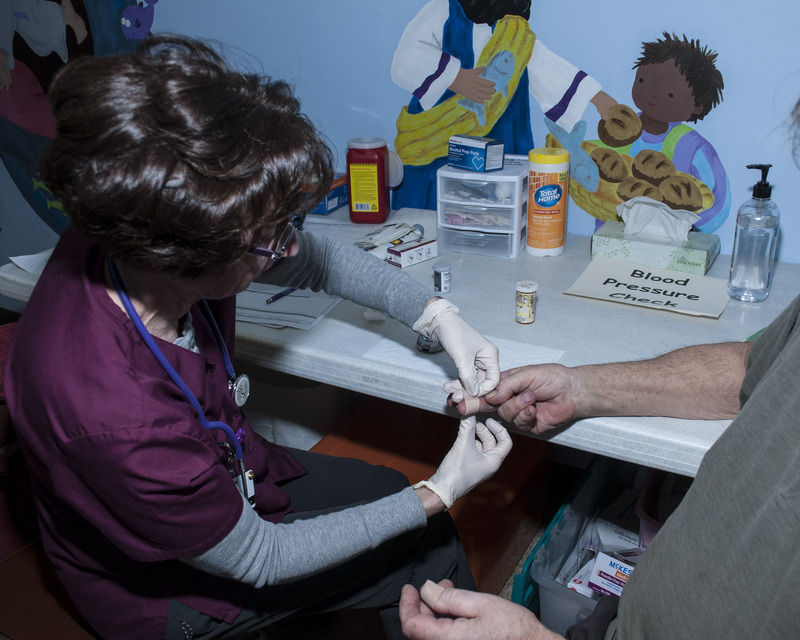 To this end, we offer three week-long clinics each year. Our services are free for those in need. For appointments or more information, please call (248) 225-4581. Our next clinic will be held Monday, March 4-Friday, March 8, 2019 at South Lyon First United Methodist Church, 640 S. Lafayette St., South Lyon, MI 48178. ***NEW SERVICE*** We are excited to announce that on Friday, March 8 will have dermatology appointments available. Our dermatologist (skin doctor) will be offering full body checks. This is a great opportunity to have any moles or skin growths checked. *Dental cleanings will be available throughout the week by appointment only. *Medical appointments will be available on Thursday, March 7 from 9:00 a.m. to 3:00 p.m. and Friday, March 8 from 9:00 a.m. to 12:00 p.m. Walk-ins are welcome, but appointments are given priority. *Audiology (hearing) exams will be available. Please call for more information. *A mobile mammogram unit will be available on Thursday, March 7 from 10:00 a.m. to 2:00 p.m. for women age 40-75. You must pre-register by February 28 by contacting Diane Riddle at (248) 486-7441.